For young men 16 years old through college age. 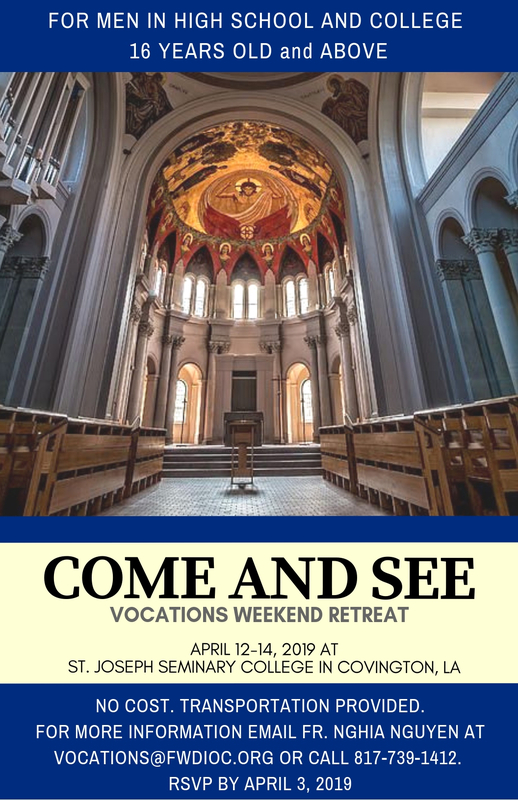 The Come and See Weekend is a special opportunity for young men in high school and college to see St. Joseph Seminary College in Louisiana. The spring Come and See weekend will be on April 12-14, 2019. Deadline to sign-up for this trip is on April 3. Please contact the Vocations Office for more information.